More free accommodations for the 15th EPMeeting participants. Papers are requested for the 26th to-be-issued EPMagazine. You can find useful guideline on our site: Guidelines and other info. EPM Award has been started! 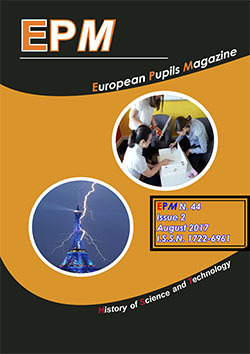 We are pleased to announce that EPM Award Competition for the best article published in 2010 on EPMagazine by secondary school students has been started. Check at the official website: www.epmagazine.org the rules in order to avoid losing time on polling. Start voting now! Please remove the brackets in the e-mail addresses, for example: test@domain (.com) must be test@domain.com.